ha ha.. you know that Norwegians are born with skies on the legs! I'm working on the answers here but it's getting very late, so I'll have to finish it up tomorrow. Actually, that reminds me of something I have been wondering about for awhile, why is Norway a total non-factor in hockey? Your immediate neighbours are hockey hotspots, yet Norway, despite having quite nice jerseys, can barely scrape into international competition every few years. it's very hard to make hockey sticks from reindeer horns .. and don't ask about norwegian pucks ..
Booooooo. That was really bad WCR. Where's a super moderator when you need one? no problem guys, I can take a joke. 356 Speedster is getting quite a build up here. 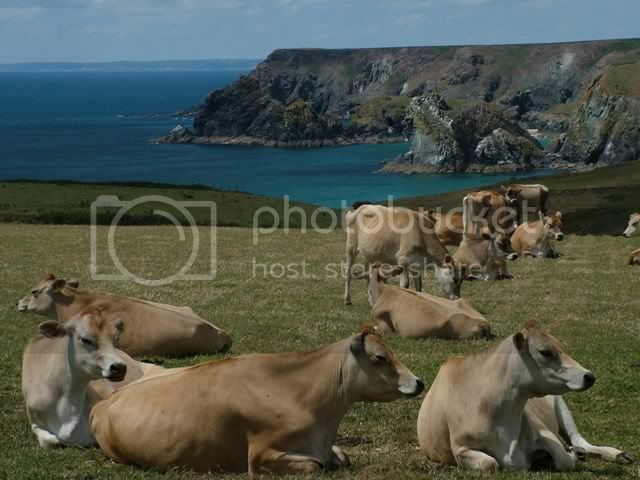 Lots of dozing cows. Hard to live up to! Say, how come Rolltidevet never puts me in the Meet the Members hotseat? Huh? I'm interesting too you know!